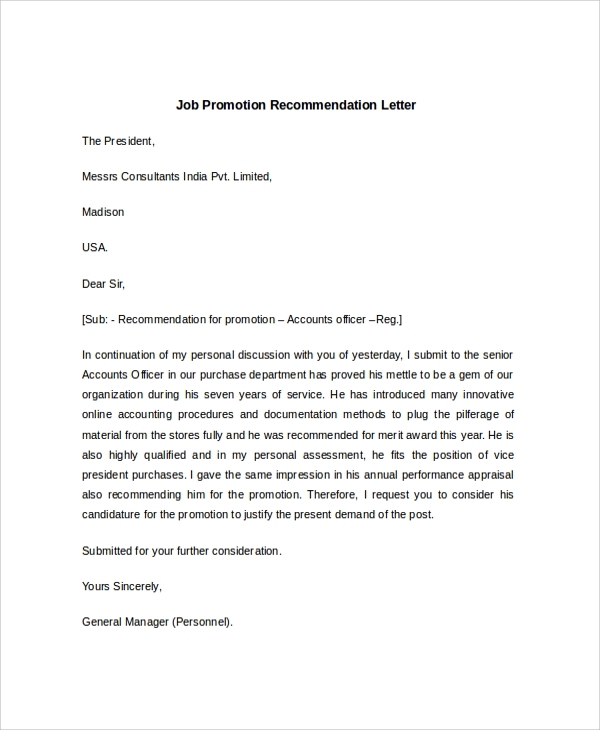 A sample job recommendation letter is a very useful format, which you may have to refer to any time when your plan is to recommend someone for a job or promotion, etc through a letter. 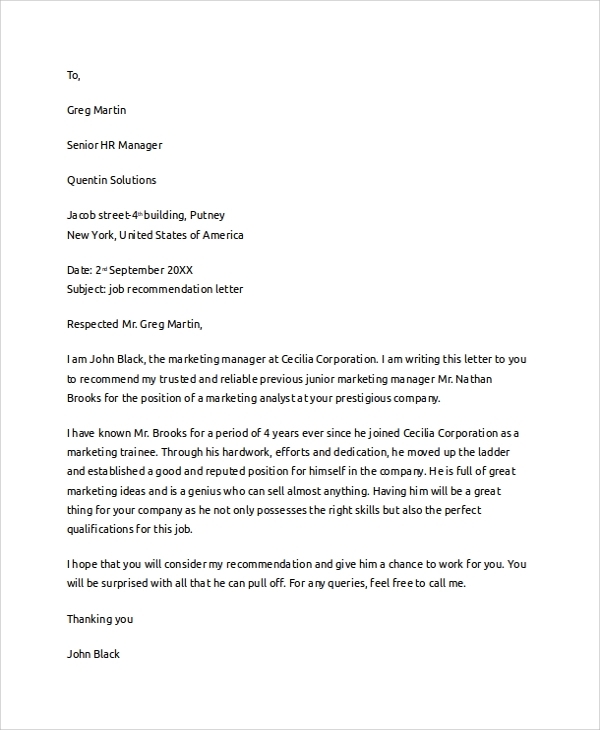 If you have to promote a person and state the reasons in detail, then this letter format is of special help. The perfect official format to recommend a job for anyone, or to recommend one for a job, or a sample Student Recommendation Letter for course or studies is here, and you may refer to it as a perfect example or sample. 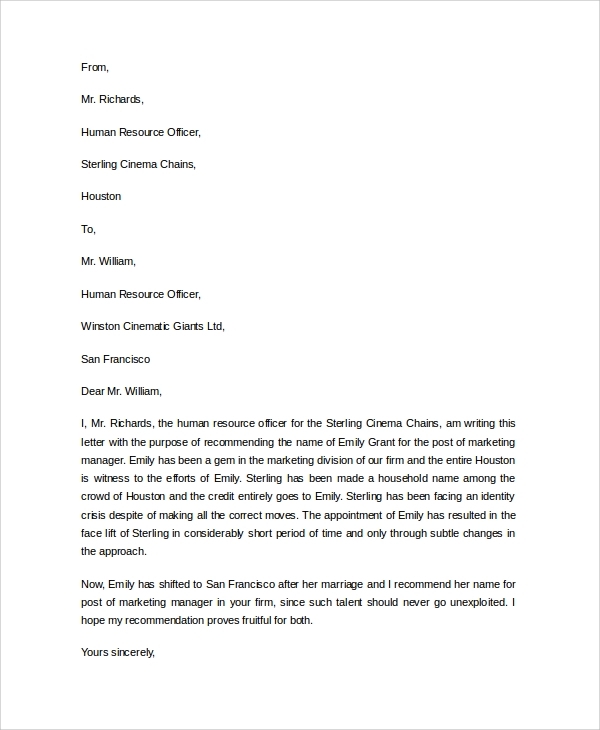 When you are writing a letter to the management or higher authority of a company and recommending a person for a promotion in a position within the company, then you would like to use this format to get the right writing style. This sample has the exact recommendation writing style and format. The job application reference letter is to refer an application that has been submitted for the job. 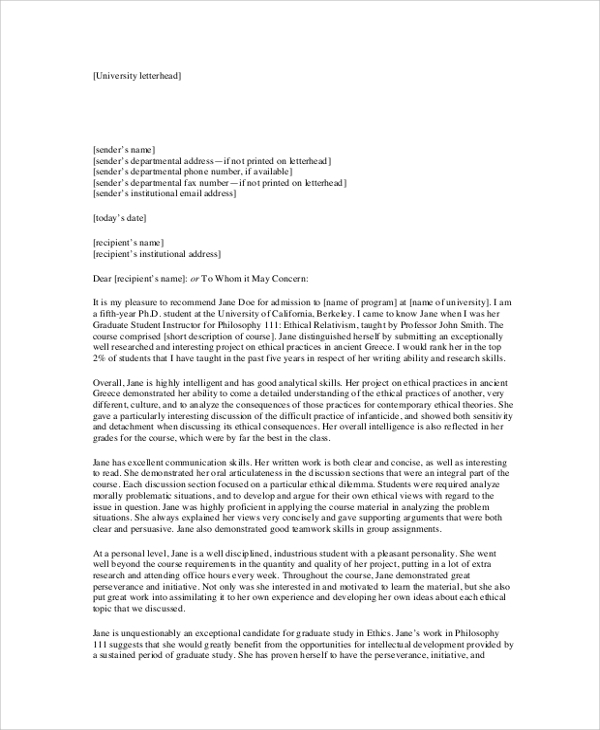 If the organization or you have received an application for a job role, and want this to be referred for further action, then you will need this particular letter format. The job reference recommendation letter is what you use when you are referring a candidate for a job. This letter will promote the candidate for the job with all the right reasons. And once again you must get a format that will be deemed officially acceptable. 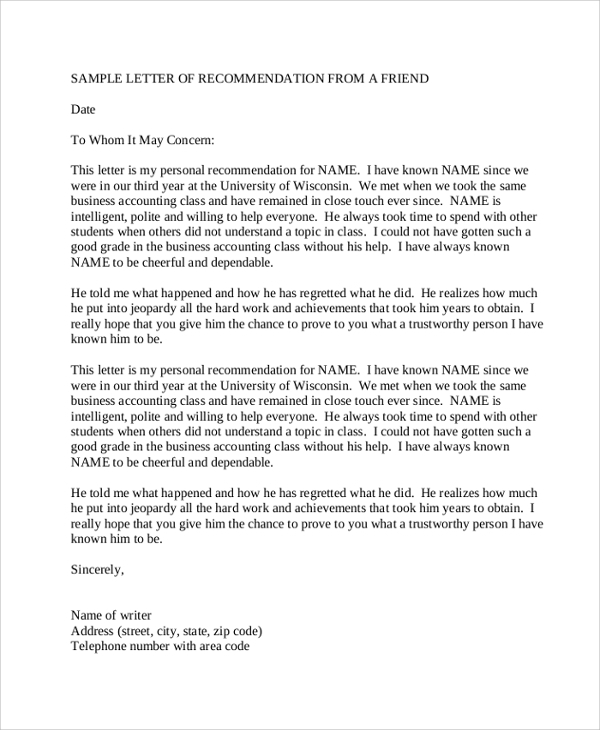 The recommendation letter example has one prime role, and that is to refer. Whether you refer a person or an application it is about understanding the candidature fit and referring the same to the higher authority with proper reasons for the reference. 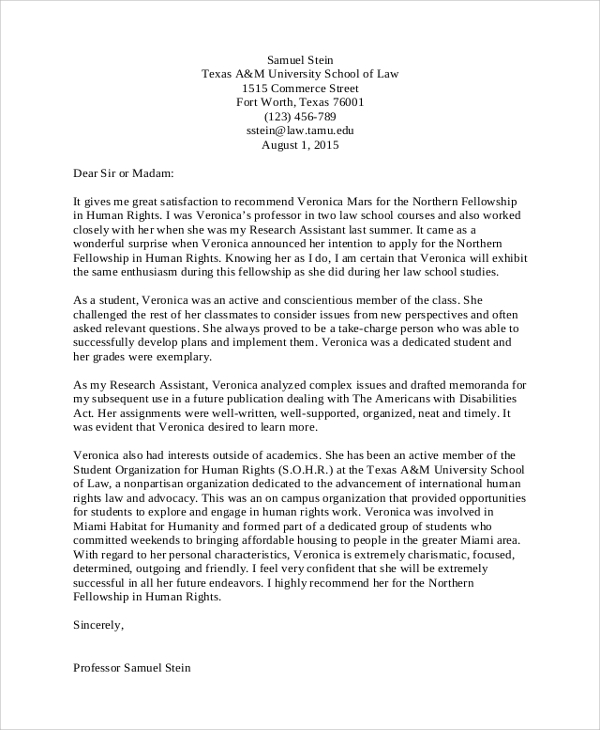 Certainly, this letter format has to be carefully crafted where you do not show unofficial causes, and rather official reasons to refer the candidate. Here the profit the organization will enjoy by recruiting or promoting the candidate has to be reflected. This whole format describing the perfect writing pattern is shown in the samples you get online. Your recommendation will be remembered for being in written format. Your recommendation will be in clear writing stating the proper logical reasons to refer the candidate for job or promotion. You get a proper format that will be flawless and won’t make you struggle through drafting. 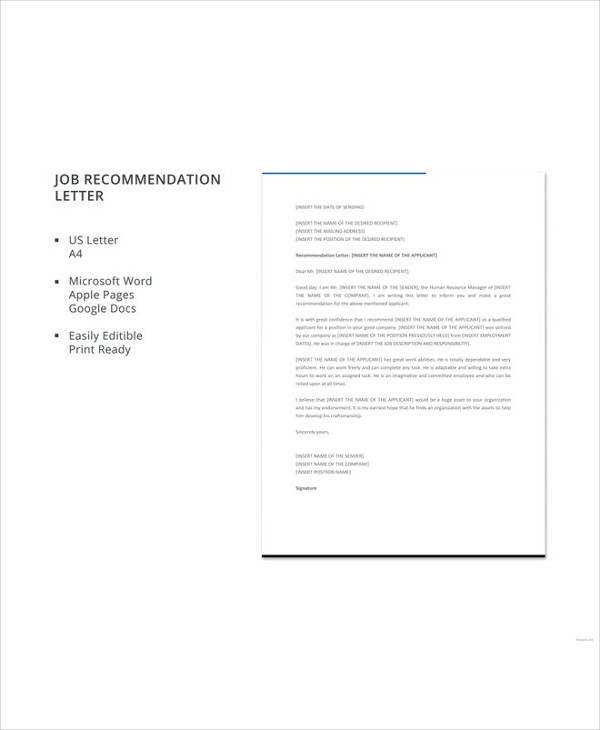 Making a job recommendation letter is pretty simple. You simply have to follow the steps to get this done. First you have to understand that you are referring the candidate directly, or the job application or resume. Next you will have to download a proper sample that is available online. These are all free to download, and won’t make you pay. Lastly you will have to see and understand what exactly is written in the sample, which you may copy or customize in order to get your referral letter finished. The samples you get online are in word document format. As you decide that you have to make a recommendation letter to formally push a candidature for a job role or promotion or course etc, you must prepare a formal letter with logic and reason enough for the recommendation while showing the organization it’s interest in providing the opportunity. 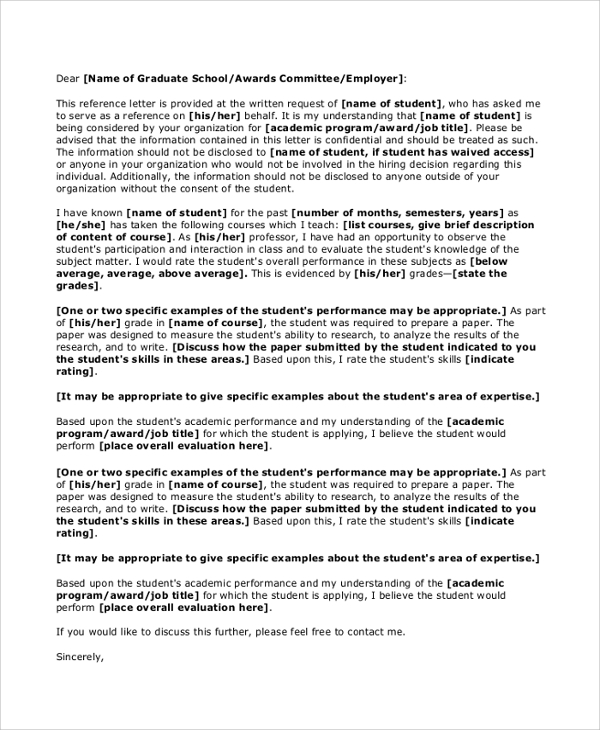 The online Recommendation Letter formal sample styles available are a nice resource for help.